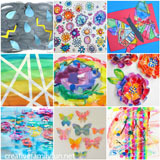 I recently shared my 10 most popular posts and now I’d like to share a few more. These posts were among my favorites and they’re also doing double-duty by setting the tone for 2013. So without further ado, here are my favorites of 2012. I’ve always believed in the importance of teaching children about the world around them. They need to know that there is more to life than what they can see from their own front door. 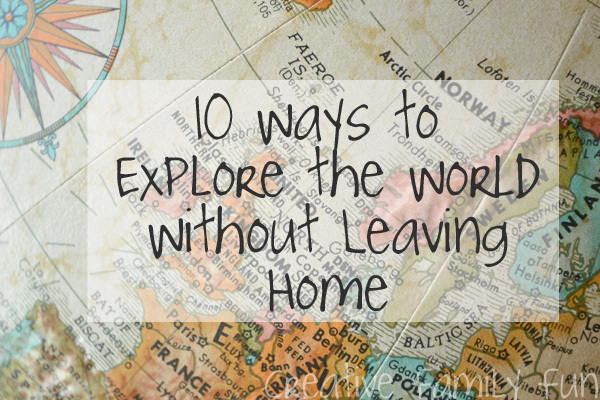 So in May, I shared 10 Ways to Explore the World Without Leaving Home. 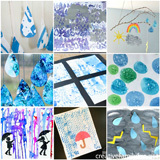 I practice what I preach and implemented all of these ideas into our home. In 2013, join me in Raising Global Citizens. I’ve been toying with an idea I’ve dubbed “Project Around the World.” We’ll be travelling the world in 2013, right in our own living room. Come along! Maybe you’ll celebrate a new holiday, try a new dish inspired by a country you’ve always wanted to visit, or just read books set in different cultures. 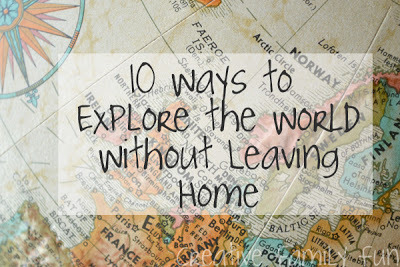 I plan on giving you lots of ideas for exploring the world in the new year. 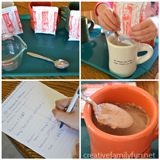 Several times in the past year, I gave you ideas for Creative Family Fun Nights. One of my favorites were the Family Olympics. It was chock full of activities for the whole family to do together, to get out and play, to laugh, and have fun. 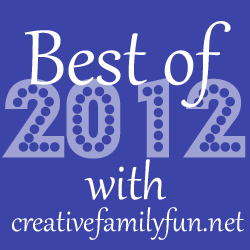 Join me in making 2013 the Year of the Family. 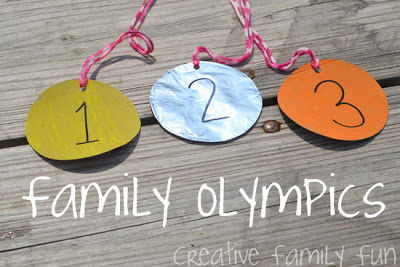 The title of my blog is Creative Family Fun and this year, I’d like to focus on the word family. 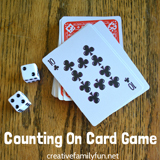 I’ll be publishing even more ideas for Creative Family Fun Nights. 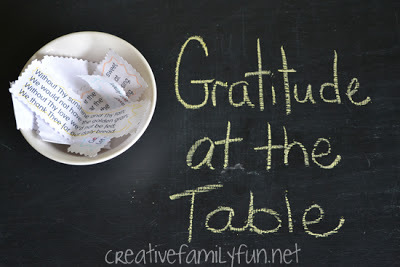 In November I share a new daily practice we started, our gratitude bowl. This simple exercise has proven to be very valuable to our family. It’s become habit and has set the stage for a peaceful dinner time. Join me in a quest to Add Value to Family Dinner Time in 2013. Use the time to get to know each other better. Have conversations, tell stories, share your dreams & wishes, laugh, and enjoy each other. This is such a great idea! Thanks for sharing. 🙂 🙂 I also blog about the family lifestyle at http://www.forevertogetherfamily.blogspot.com if you are interested. I am always looking for creative things for us to do at home together and I love the idea of a virtual world tour. The options for learning are endless, and we can cater to the individual interests of our kids. This will be fun. 🙂 Thanks for the great idea. I love the direction your blog is going to take in 2013! What a wonderful year! I love your post on dinnertime.